Maputo is the capital and largest city in Mozambique. It is known as the “City of Acacias”, as these special trees are scattered along many of the city’s main streets. As the pearl of the Indian Ocean, Maputo is a melting pot of several cultures. The Bantu and Portuguese influences are the most prominent, yet Indian, Arab and Chinese influence are also strongly felt everywhere. This unique and interesting city has a strong artistic spirit, which attracted many influential and forward thinking architects and artists of their time. Maputo is home to many masterpieces of buildings and architectural work by influential designers such as Gustav Eiffel, Pancho Guedes and most notably Herbert Baker. The earliest evidence of architectural efforts around the city was strongly influenced by classical European designs. The most prominent and famous is the Herbert Baker designed Hotel Palana. The city experienced another architectural and cultural boom. It was characterized by the modernist movement, where straight clean lines and functional structures were all the rage. Pancho Guedes was said to be the brainchild behind the movement, incorporating and fusing local art and influences, giving the cities buildings a unique African and Mozambican feel. The broad leafy avenues and cultural influences all linger in your mind when you think about this beautiful city, with its relaxed pace and friendly atmosphere. 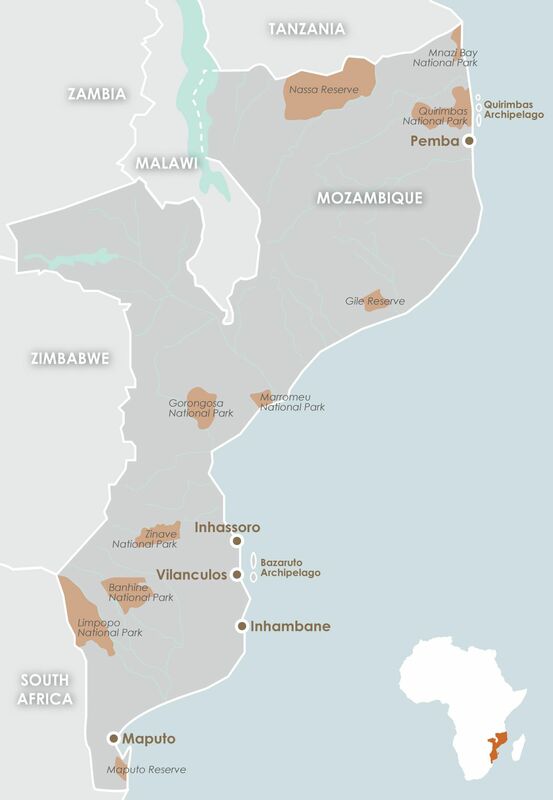 Maputo is the gateway for all of Mozambique’s unique and exciting locations. The airport is situated in the city and provides a great place to begin or end your trip. The best time to visit is during the months of January to May as well as August through to December. Then the average temperature is at a comfortable level of 20 to 30 degrees Celsius. If you prefer a cooler climate, June and July are more suitable with temperatures from 10 to 20 degrees Celsius. An important cultural and artists centre in Maputo is the Associacao Nucleo De Arte. It is the oldest collective of artistic works in Mozambique. The art is displayed in an old villa in the town centre, which has played a significant role in metropolitan cultural life for decades past and many decades to come. Maputo has a plethora of landmarks. During its five centuries of Portuguese colonization, the city gained priceless wonders of Portuguese and European architecture. The most noteworthy buildings are former colonial admin buildings as well as current government buildings.